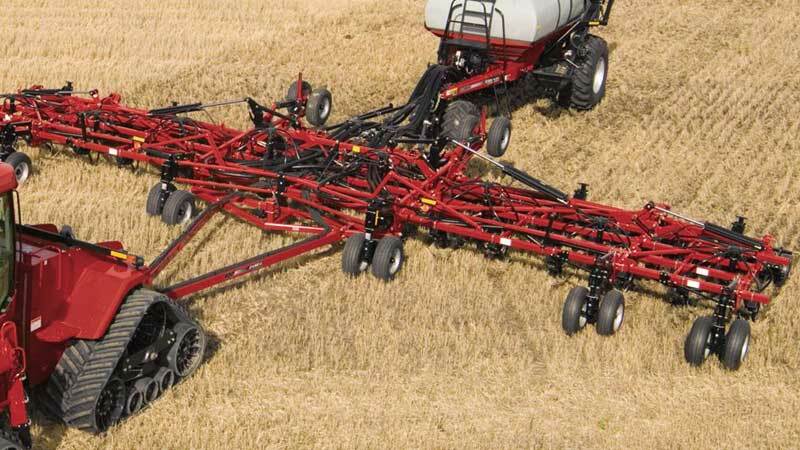 Case IH Flex Hoe Series air hoe drills are engineered to deliver precision seeding under a wide variety of seeding styles and field conditions. Higher yields can be gained when you match the right opener to your conditions to achieve accurate seed and fertilizer placement. Case IH offers two openers the Stealth® and Nok-on that deliver successful seeding in your conditions. To improve germination, Case IH offers a wide range of on-row packing choices to match your seeding style, opener and soil conditions. You can choose from steel, pneumatic or semi-pneumatic packing wheels each geared to fit specific conditions.